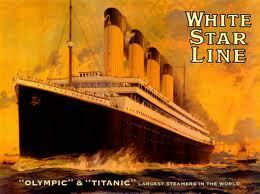 This year marks the 100th anniversary of the sinking of that unsinkable ship – the Titanic. Prior to it’s sinking, it was certainly a good time with lots of food and plenty of booze consumed. The menus from the first and second class dining rooms are nothing but impressive. I can only imagine what drinks accompanied them. Folks back then knew how to throw them back. Poking around on the internet, I found that the ship carried cases upon cases of Champagne, wine and spirits. I would imagine that a good time was had by all until the ship went down. By 1912, cocktails were fairly sophisticated. Jerry Thomas had plied his trade, hotels were serving world class drinks across the globe and Ada Coleman was the head bartender at the Savoy Hotel in London. In fact, if you go to a number of the craft cocktail bars in the United States, you will probably see and experience a fair number of the drinks that were probably served on board the Titanic. I can’t imagine that a first class ship like the Titanic would have skimped on bar service. In addition to what I imagine was an incredible drinking experience for the passengers, according to lore, the head chef also had quite the drinking experience. As the Titanic was taking on water, Charles Joughin helped people board lifeboats and got sauced. After the lifeboats left, Mr. Joughin continued to get sauced. When the Titanic sunk, he found himself on the right side of the boat as it sunk, road it down on one of the rails and stepped off into the cold ocean. Mr. Joughin allegedly survived for in the water for three hours before being picked up by the Carpathia where he was unthawed in a warm oven. Ironic for a chef. Mr. Joughin’s survival was credited to the vast quantity of whisky he consumed. Champagne Cocktail – a most elegant cocktail of cocktails. How could you beat Champagne with sugar, brandy and angostura bitters. It would have been served in champagne coups in the days of the Titanic. Manhattan – a drink likely to have been drunk my many of the men aboard the Titanic. This is a drink that showcases the spirit it is made with. Try it with whisky, brandy or rum. Martini – one of the most classic of drinks. 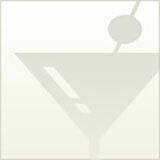 Martinis were sure to have been thrown back by the guests on the Titanic. To be authentic, make it with gin. Brandy Crusta – a popular drink style in the 1800’s, the Crust would have been popular when the Titanic set sail. Crustas are also good with whiskey and rum. Think of it as a precursor to the Sidecar. Daiquri – this drink became popular in the first decade of the 20th century and was enjoyed long before Hemingway sent its popularity into the stratosphere. Give this drink a try. It is nothing like the sweet, blended concoction that was popular at the end of the 20th century.